SAM LLANAS RETURNS AND ROCKS “THE WHOLE NIGHT THRU”!!! 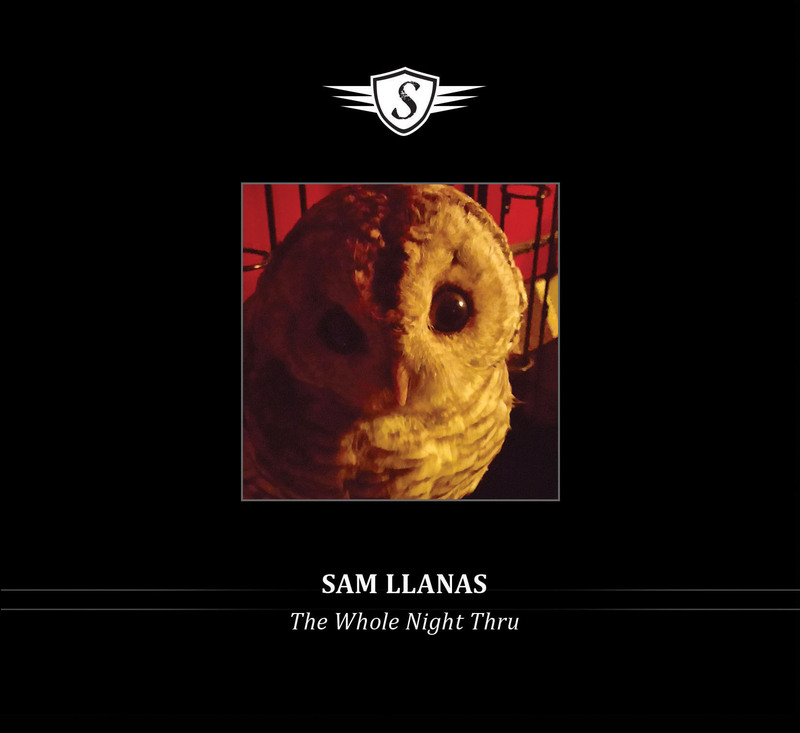 Sam Llanas has returned to the market place with his newest effort, The Whole Night Thru. His last album, the live compilation 4/5 Live was merely a teaser as to what Llanas and company were up to. That company is comprised of some vital, undiscovered talent from the Wisconsin cheese belt. I have personally witnessed the soul and expression drummer Ryan Schiedermayer puts into Llanas’ music, having seen the duo live at the Rockwood Music Hall in NYC a couple of years ago. But this album features a full band, not just the duo of Llanas and Schiedermayer. Joining them is lead guitarist Sean Williamson, and bassist Matthew “El” Turner. But as a recent convert to Llanas’ music, and only having heard small snippets of BoDeans tracks, I can tell that even though it was not Llanas’ preference to have the BoDeans disintegrate, he took with him the heart, the soul, and the spirit of his music. 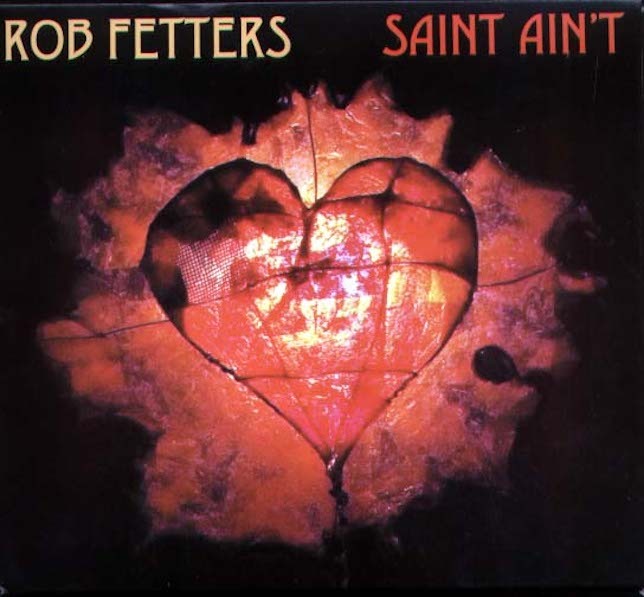 BEARS, PSYCHODOTS, RAISINS GUITARIST AND ADVERTISING COMPOSER ROB FETTERS RETURNS TO THE SOLO ROAD WITH “SAINT AIN’T”. TAKE A TWISTED TRIP WITH FETTERS AND FRIENDS. It must be an amazing personal feat to be able to call upon some of your home-base contemporaries to make guest appearances all over your new solo CD. It is most likely an even easier feat to accomplish when you have a client list from your commercial jingle-writing career that reads like a veritable Who’s Who of Fortune 500 companies. It has been a long time since this blog has been active. We took some time off after the passing of grunge god Lou Reed. We were given time to pause to think about our allotment on this mortal coil. Life is too short. Life is too short to dwell on things that affect us negatively. Things that present themselves or force themselves on us. Things that, plain old speaking, we just don’t want to deal with. For me, that was the new Nine Inch Nails album, Hesitation Marks. 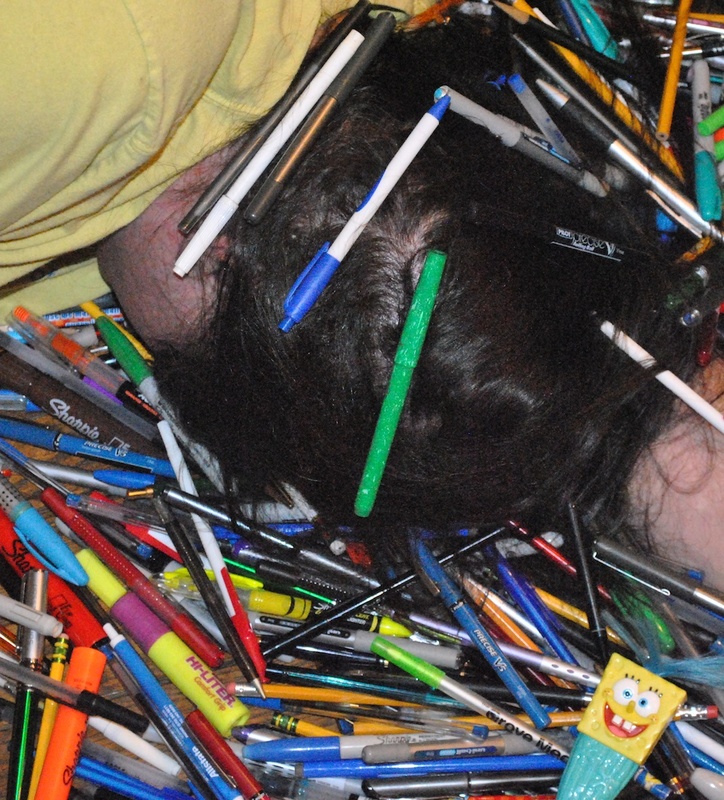 I had begun the review when Reed passed. My thoughts were not about what Reznor had done on this new album, or how it was more or less a rehash of what he had done before he shuttered Nine Inch Nails around 2009. I was even slated to see Nine Inch Nails, but most of the parties involved were pretty much ambivalent about the event, so we chose to bypass it. From what we heard about the show afterward, it was mostly material we had seen live with a FEW new songs inserted into a tired, and over-used set list. I now regret not catching a Reed show. It must have been something to see this stalwart musician ply his art onstage. I had seen his widow, Laurie Anderson a number of times, including the shows Anderson played in New York City nine days after 9/11 at the Town Hall (which yielded a phenomenal double CD live disc). Her shows were always entertaining, amusing and sometimes haunting. So when faced with the arduous task of trying to analyze Reznor’s Nine Inch Noise album, it just seemed futile and defeatist. My heart wasn’t in it. With Reed (and a few days later, his mother) now passed, and Anderson grieving the loss of Reed, Reed’s mother and her dog Lolabelle, Anderson is gearing up her tour/performance schedule. It would be grand to see her again, and hopefully get the opportunity to tell her how much she means to us, and how much her late husband meant to all us musicians and music fans. 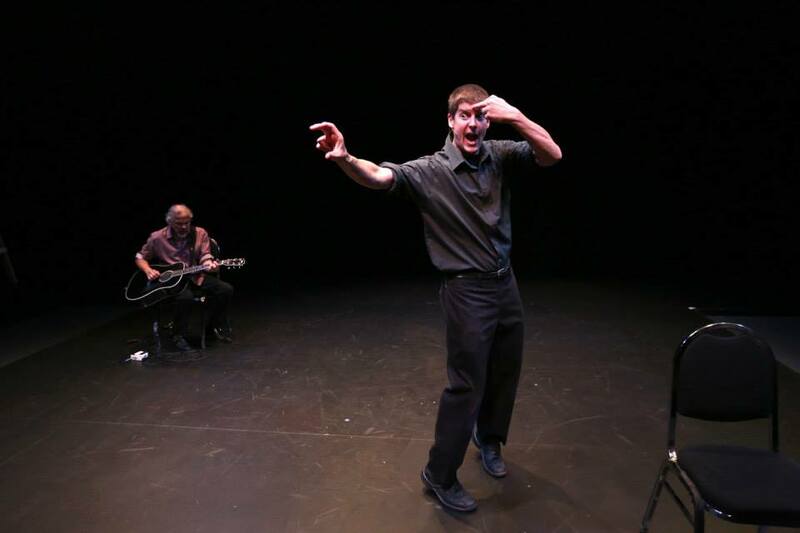 New York, NY, August 19 – Doug Vincent’s autobiographical play, A Day For Grace will return to New York City on September 19th for a four-night engagement from September 19 thru 22 at Stage Left Studio, 214 W 30thStreet, 6th floor. 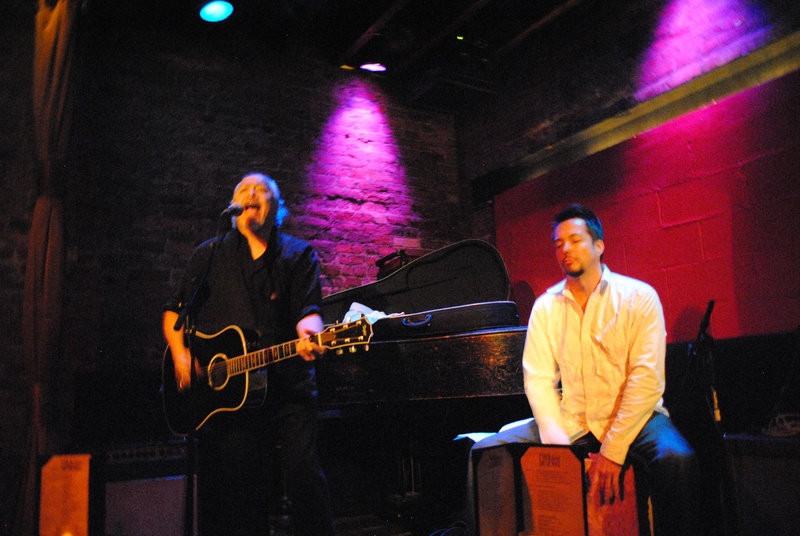 Roots rock legend Sam Llanas (formerly of BoDeans) and playwright Doug Vincent share the stage in the heartwarming play of hope and triumph over adversity. Set to original music by Llanas, A Day for Grace recounts Vincent’s emotional roller-coaster journey into first-time fatherhood as he chases parental shadows and the demons of his turbulent youth in small town Virginia to find the light for his unborn child. Llanas will also open each show with an intimate solo acoustic set of old favorites, new and unreleased music. All performances are at 7:30pm. Tickets can be purchased at www.stageleftstudio.net or by calling the box office at 212.838.2134. The play unfolds when unforeseen complications during his daughter’s birth propel Vincent’s emotions to pour out of him to confront the demons of his past – shifting back and forth between little league angst and the relationship with his alcoholic and suicidal father to present day events. Lanas performs the soulful music from his 1998 solo album A Good Day to Die, which underscores Vincent’s 10 different character portrayals and serves as the drama’s emotional touchstones and enthralling Greek Chorus. Although he wrote the lyrics 15 years earlier and long before the play was created, nearly every song matches a scene from the play. “It’s almost impossible to watch the show without marveling at the obvious synchronicity inherent in this collaboration. The unique interplay between the music and monologue is mesmerizing,” says director Gary Tanin. Both Vincent and Llanas used their creative talents as a way to heal from the tragic loss of a family member to suicide. At their first meeting, both men were shocked to learn how serendipitously the two art forms blended together to create the compelling musical drama. A Day for Grace touches on many contemporary social issues –- bullying, alcoholism, dysfunctional families and mental illness — all leading risk factors for suicide, according to the National Institutes of Health (NIH). “We hope that our play will continue to not only entertain, but convey its message of hope, healing, and triumph over adversity to the widest audience possible,” says Vincent. A Day for Grace had its initial limited engagement run in 2012, where it played to sold-out audiences. The play was first introduced to New York audiences last year at Stage Left Studio, where it was developed. This year, a re-tooled A Day for Grace, which began a multi-city national tour in August, will visit Berryville, VA, Denver, CO, Milwaukee, WI and Chicago, IL before returning to New York City, where it will complete its tour at Stage Left Studio for multiple performances plus a producers’ showcase. A co-production of Stage Left Studio and Boulder StoryHealers, ‘A Day for Grace’ was developed at Stage Left Studio in New York City. Boulder StoryHealers is a project of the Colorado Nonprofit Development Center, a nonprofit charity under Section 501c3 . AUTHOR’S NOTE: I was slated to give this production personal coverage for the Friday and Saturday night shows during this run. Unfortunately, the fates have conspired to keep me away from this production. Faithful readers would wonder why I am interested in going to see this show again. I have it on good authority that changes have been made to both the script and the music for this tour of the show. Additionally, Llanas will do a solo acoustic set before the play begins. That is always worth the price of admission! So even for you folks who caught this last time, I urge you to go see it again. This time, the topics of the show are even more poignant and personal to me. I did just recently lose three family members and a pet, albeit none by suicide, but loss is loss. All three family members lived at the same residence, which is the ultimate definition of an empty nest. The pet, succumbed to hyperthyroidism in my hands this past Saturday the 14th. I would be an emotional casualty if I were to attend this show. Sometimes people like to cry at highly emotional art. If you are this kind of person who rejuvenates themselves at the hand of highly personal artistic endeavors, this is again, a must-see show for you to cleanse your soul, refresh your spirit and laugh at life’s foibles. THE COVERAGE CONTINUES! A DAY FOR GRACE/SAM LLANAS TO GET NATIONAL/GLOBAL ATTENTION ON DAVE MARSH’S SIRIUS-FM SHOW, “SPECTRUM”!!! As someone who has been on the bandwagon since the play A Day For Grace made its debut at Stage Left Studios in Manhattan last September, I have taken slack, I have taken criticism, I have steered through harsh criticisms leveled at me through this blog, Facebook and my business email. One trick pony, in their pocket, too one-sided. Now it’s time to share this coverage, and hope that others take up the crusade as I have. This play has personal meaning to myself as well as the team behind the play. All of us have been touched by topics within the play. On Sunday, September 22, on the last day of the New York run, again at Stage Left Studios, at 11:00 a.m., Sam Llanas, Doug Vincent and Gary Tanin will be on the Dave Marsh “Kick Out The Jams” radio show on Sirius XM Radio, The Spectrum (Channel 28). 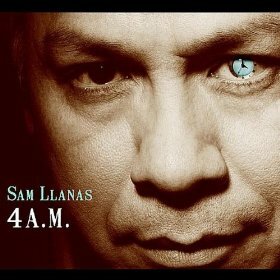 SAM LLANAS ASKS: IT’S 4AM, DO YOU KNOW WHERE YOUR LOVE IS? 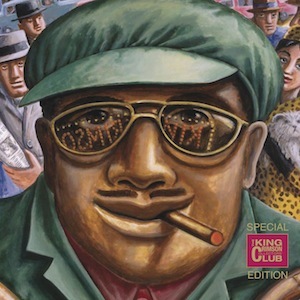 The perfect album for an overnight of carousing, remorse and reflection. AUTHOR’S NOTE: In light of the recent post by yours truly about the upcoming Sam Llanas Four/Five Live Volume 1 CD, we felt it would be appropriate to repost one of the last entries in our syndicated blog. Many references were made to this album, 4A.M. in that review. So we wanted to make it available again for review. Another reason I wanted another crack at this disc is to right a wrong, and mention the crack staff that made this disc. On vocals and acoustic guitar we have Sam Llanas. Percussion is handled by Ryan Schiedermayer. Guitars and harmonica by Terry Vittone. Bass by Matt Turner. Accordian by Bukka Allen. 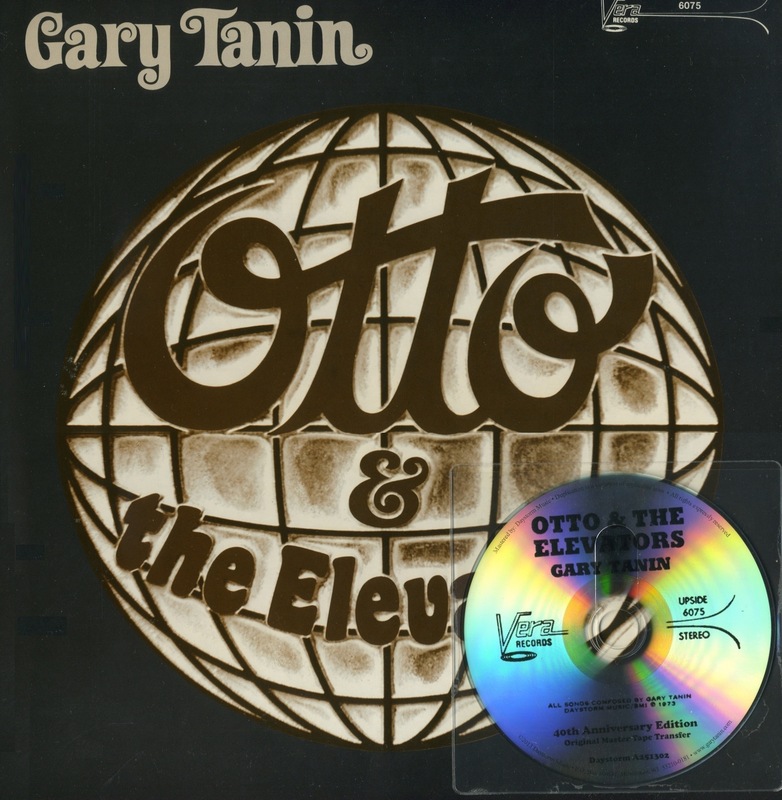 String Sections by Gary Tanin. There, I feel better about this. Now, to our Friday Flashback! If you follow this blog, last time we promoted Sam Llanas’ 4AM with a press release and some bio info. This time, we take on the album itself. Now the “concept”, if you will, of this album is the adventures that take place after hours. Llanas claims to have written many of the tunes late at night. I identify with that as I do my best work at night (post 11pm). So I went out on a limb this time and gave it an initial listen after 1am. I’m too old to make it to 4am without chemical stimulants, and I knock off the caffeine at 5pm. But I felt it best to get the full effect of this disc’s concept, if it was listened to at the same time it was composed, performed, etc. I was right. This is late night listening at its best!